Wow her with this delicately-sparkling engagement ring! 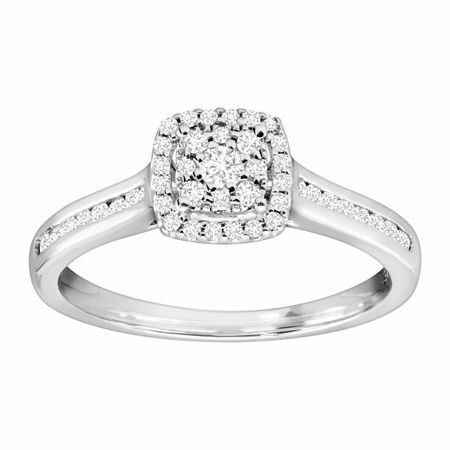 A halo of round-cut diamonds surround the cushion face, and channel-set diamonds enliven the band for a total weight of 1/3 ct. A gallery design sets off the ring face, all crafted in sterling silver. Ring face measures 5/16 by 5/16 inches.